Small children love small things their size. 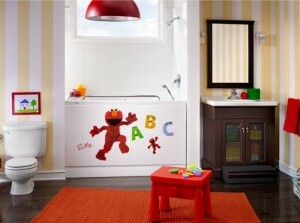 Installing kid-size bathroom fixtures simplifies potty training and makes bath time fun. Being able to reach the faucet makes them feel like big kids. American Standard’s Baby Devore toilet is a maximum of 12-inches high. A perfect transition from the potty chair to big kid potty! The FunBath® is a tub insert that fits easily into a standard tub. No more bending over for parents! 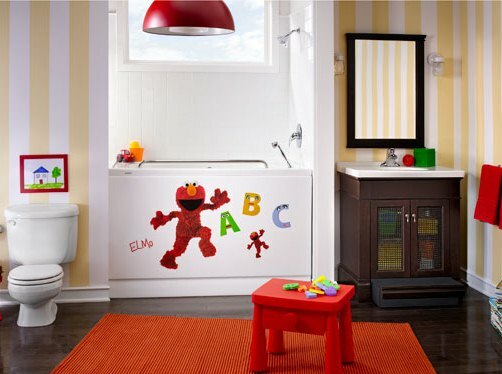 A vanity with a slide out step-stool is the perfect solution for reaching a faucet that can adjust to prevent scalding. For a funky teen look, a pink bathroom vanity or pretty vessel sink can add pizazz. KraftMaid cabinetry will grow with the child. Beautiful and durable cabinetry is not just for kitchens. Design an entire bedroom with storage, desks and even beds that are versatile, will grow with the child and last for years. Light the room with fun! Lighting manufacturers have seen the light by expanding their children’s lines. 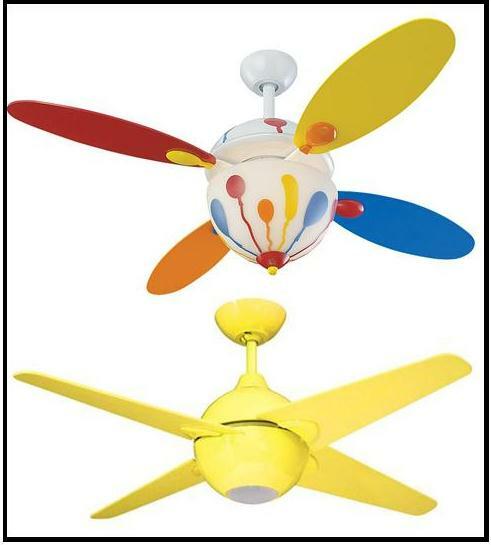 Lamps, fixtures and ceiling fans in bright colors, whimsical designs and sports themes personalize a kid space. There are even little diva chandeliers just oozing in girly pink. 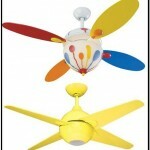 Fans for tots or teens in lots of fun colors! Like a grown-up room, the accessories and occasional pieces add the finishing touch. Artwork, mirrors, fun tables and chests are easy ways to update without breaking the bank! Stop by Modern Supply’s kitchen, bath and lighting showrooms on Lovell Rd., Knoxville, TN and see our kid-friend products. Think fun and be a kid again! This entry was posted in Fun Stuff! and tagged American Standard, children's lighting, FunBath, Home products for kids, modern supply showroom, vanity with step-stool on August 13, 2012 by Webmaster.